Message on the card inside reads: "The best gift is time spent with you"
Acclaimed artist Susan Lordi presents a new addition to her immensely popular Willow Tree collection with the With My Grandmother figurine. 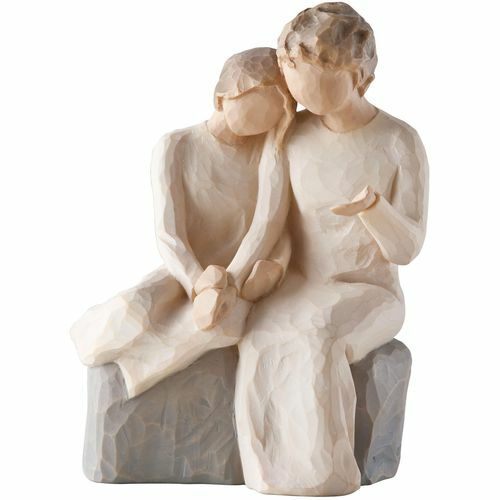 The hand-painted resin figurine features a young girl sitting beside her grandmother in a loving and comforting position. 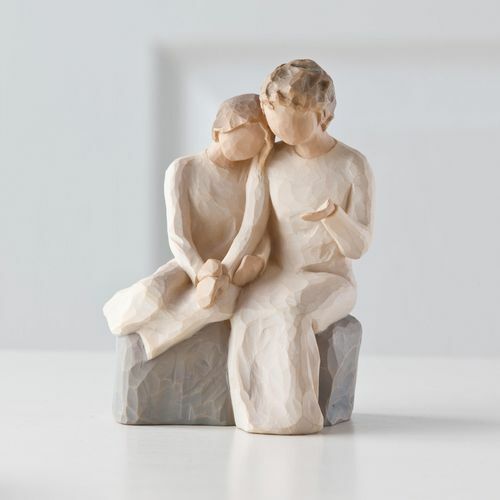 As many well know, the true brilliance of Willow Tree is that each emotion is expressed via the art of gesture, making each piece personal and specific to its owner, this With My Grandmother figurine is no exception to this.